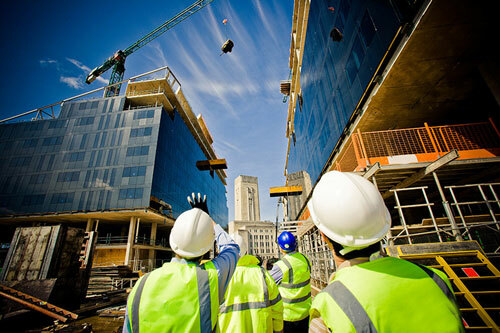 We understand the special complexities of the laws that apply to construction injury cases. Construction sites always are potentially dangerous places, and those who work at or visit them are at an increased risk of injury. In addition, construction workers may be injured while on the job at locations other than a construction site. For example, a worker may be injured in a car or truck accident while driving a company vehicle. In most cases, injuries received at work will be handled through the state's workers compensation system. If, however, you are injured through the carelessness or conscious wrongdoing of someone other than your employer or a fellow employee, you also may have a claim for damages against the person who caused your injury. This can include the employees of other contractors on your job site. It may be in your interest to file both a workers compensation claim and a personal injury claim against the person who injured you. This can be complicated, but with our more than 35 years experience in representing accident victims, we can help you get everything you rightfully deserve from all those who are responsible for injuring you. In some cases, non-employee visitors are injured at construction sites or elsewhere by on-the-job construction workers. We will represent you, too. We understand the special complexities of the laws that apply to construction injury cases. We also have the resources to stand toe-to-toe with the largest corporations, insurance companies and governments. Please call or email us for a confidential, no-obligation consultation about your construction injury matter. Our experienced staff of personal injury lawyers are ready to help you now, regardless of where you live. For free answers to your legal questions about injuries from construction accidents, just complete our convenient online contact form. Steven Ariston, age 43, of Peoria was killed yesterday morning when portions of a support for a bridge under construction collapsed. Alejandro Meraz, age 20, was seriously injured in the incident, and air evacuated to Scottsdale Healthcare-Osborn Hospital. Both men had been working on the structure at the time of the collapse.